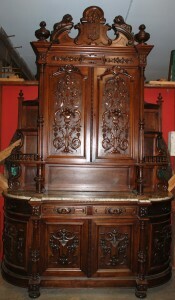 A recent addition to the shop is this wonderful walnut victorian buffet, circa 1870-1880. 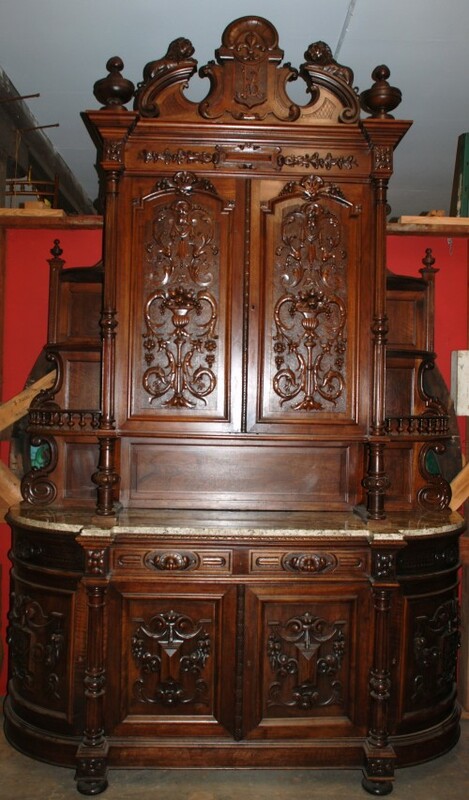 It is an incredible piece standing 10′ 5″ tall with handcarved lions at the top. The victorian era was an exciting period when many artistic styles flourished. The furniture was designed to give the appearance of being owned by the wealthy. Heavily carved and very large pieces were designed. This buffet is one of them. I personally love this style ! Old Stone Trough Planters Happy Hour with Flowers!